Acupuncture & Aesthetics Blog - Anne Hermann M.D. Aging, skin conditions, sun exposure, and other events can discolor your skin, make the tone uneven, or produce fine lines and wrinkles. While there are many treatments for making your skin look fresh and young, the best treatment available for evening skin tone and resolving blemishes is IPL laser treatment. Learn what it is, how it works, and why you should try it. What Is an IPL Laser? 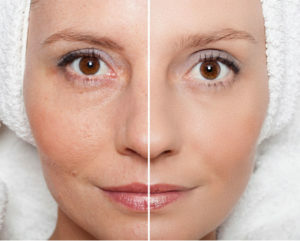 The IPL laser is intense pulsed light laser. The focused pulsed light is directed at the target areas of the skin. This laser is able to lighten skin without affecting the healthy skin around the target area. It is safe for most skin types, and does not take long to complete. Results take 3 to 10 days and vary by individual. Summertime is a great time to get outdoors, have outings with friends and family, and enjoy vacations. Through all of the activity, you want to look and feel your best. Getting your skin ready for summer now will ensure you look beautiful and refreshed at all your summertime events. There are three great ways to prepare your skin for summer. Every woman fights against the signs of aging. As you get older, collagen and elastin production in your body naturally decreases, which leads to volume loss, lines, wrinkles, and loose skin. There are a lot of options for dermal fillers to reverse the effects of aging. The longest lasting of these options is Sculptra. Sculptra is a dermal filler that requires several treatments to get the desired results. The active ingredient in Sculptra is l-lactic acid. This compound stimulates your body’s own collagen production, which will tighten your skin, create volume, and smooth your skin. With each treatment, more collagen is produced until you get the results you desire. Because Sculptra works with your body’s natural processes, the results are much longer lasting than other dermal fillers. Aging often can make skin less elastic or voluminous, and many people attempt to correct this with dermal fillers and other treatments. There is an all-natural, safe, and long-lasting option other than dermal fillers for tightening and rejuvenating the skin. PRP facials are a great new advance in aesthetic enhancement that allow you to enjoy rejuvenated skin naturally and effectively. PRP stands for platelet rich plasma. The platelets in your blood carry protein growth factors that help the body produce collagen, elastin, and hyaluronic acid. These three components that are naturally produced by your body help to keep skin elastic, tight, and youthful in appearance. With PRP facials, the platelets in your blood are extracted, concentrated, then injected into the target area to stimulate the production of these three elements. Taking care of your skin will help it to stay healthy and youthful for a very long time. One of the best ways to do this is by getting rid of dead skin cells, which opens your pores and allows your skin to breathe again. 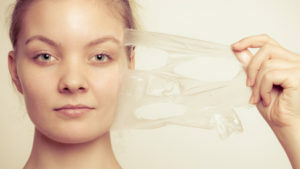 The safest way to eliminate dead skin is with a chemical peel. It will also correct uneven tones, reduce the appearance of acne, and diminish fine lines and wrinkles. However, there are some facts you should know about chemical peels and what you can do to make your first experience beneficial. One of the signs of aging that many women notice is their lips become thinner and lines begin to form around the mouth. There have been several dermal fillers used over the years to restore fullness to the lips, but few have had the results that Volbella offers. Volbella is from the makers of Juvederm and Botox, which have excellent reputations. If you are looking for a fuller, less lined mouth, consider Volbella injections. Getting Volbella for your lips and mouth is a very easy process. Your appointment can take place during an afternoon or on a long lunch. The entire procedure only takes about 20 minutes. The injection is prepared with lidocaine, so you will experience very little discomfort during the procedure. It is minimally invasive, and you will see results almost immediately. There is no recovery time, and you can wash your face and wear makeup as normal. 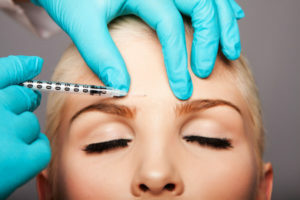 Dysport is a newer injectable that is often preferred over Botox. While Botox remains the most common injectable to eliminate lines and wrinkles, Dysport can give you similar results at a lower price. If you are considering Dysport, these facts about the injectable may help you make your decision. Dysport is designed to be a painless solution for eliminating fine lines and wrinkles. While Botox will often make you feel pressure in your face while it is working, Dysport does not tend to have this side effect. It can be much more comfortable than Botox. The winter months can be very damaging to your skin. One of the best ways to revitalize your skin for spring is to get a facial or chemical peel. These treatments will cleanse and replenish your skin to give you a healthier, more vital look. There are quite a few different types of facials. The right facial for you depends on your skin’s condition and sensitivities. 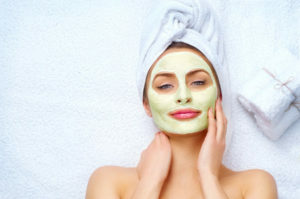 Some facials are focused on cleansing the skin and pores, while other facials include hydration and massage. There is also a facial specifically designed for pre-teens to help deter acne and other skin blemishes. If you have heard of CoolSculpting, you may be wondering what areas are best for this treatment. There are several problem areas for men and women that are easily treated with CoolSculpting to give you a leaner look. While some areas are common to both men and women, other areas are more specific to one gender or the other. For nasolabial folds and cheek contouring, there is no better treatment than Radiesse dermal filler. While you have several options for dermal fillers and treatments to erase those laugh lines and plump your cheeks, Radiesse offers many benefits, and other dermal fillers just don’t measure up. Collagen is the primary protein responsible for the structure of the skin and its connective tissues. As you get older, collagen production slows or stops. This is in part why wrinkles form, and cheeks lose their definition. Radiesse is unique from other dermal fillers in that it stimulates collagen production. The amazing dermal filler provides results almost immediately. The filler continues to work for you long after it has been injected as the body produces more collagen in problem areas to prevent wrinkles and folds from returning. Most dermal fillers only provide results for about 12 months or less. Results with any dermal filler are individual and based on several factors. The average duration of a Radiesse treatment is 18 months. This is due to the collagen production that Radiesse stimulates. Other dermal fillers produce limited results because the filler breaks down over time. Radiesse continues working for you long after the injection, which means results last much longer. Getting Radiesse in Tampa shares many benefits with other dermal fillers. The treatments do not take long. You can easily schedule the treatment around your lunch break. There is no need to take the day off for treatments. With the use of lidocaine and expert administration by Tampa professionals, your Radiesse treatment will be virtually pain-free. To learn more about what this amazing dermal filler can do for you, contact us today for a consultation.